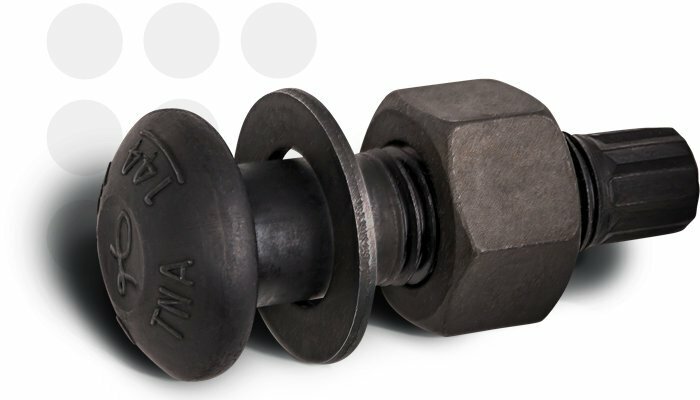 No other fastening system or method can match the patented TNA® Torque+Angle Fastening System for producing the highest level of accuracy and reliability in both the snug and final tensioning processes. 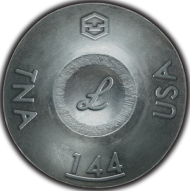 LeJeune’s reputation as the premiere supplier of structural bolts has been earned through our attention to detail before, during, and after the sale. 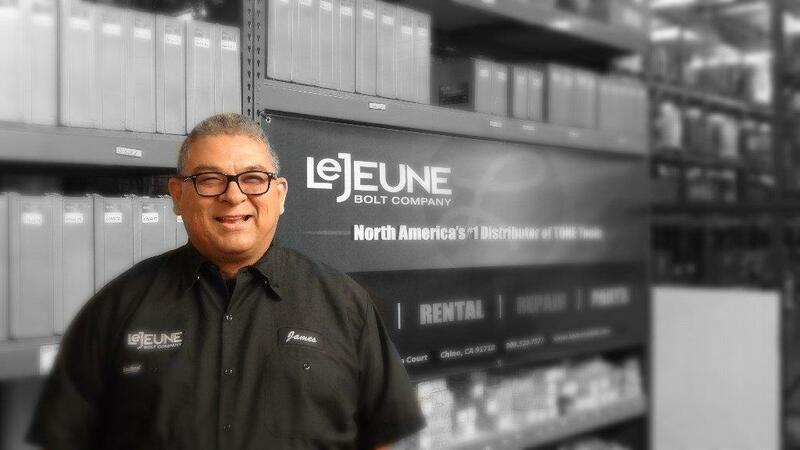 LeJeune is the largest supplier of TONE installation tools in North America. LeJeune offers the most complete and comprehensive rental and repair services in the industry. New and rental tools are available from our online store. Ever waited for a shipment to show up? Not when LeJeune is on the job. Our knowledge base runs deep, right along with our experience. The first integrated system utilizing a single fastener and tool for perfect installations. Need immediate help? We're online ready to share our expertise. 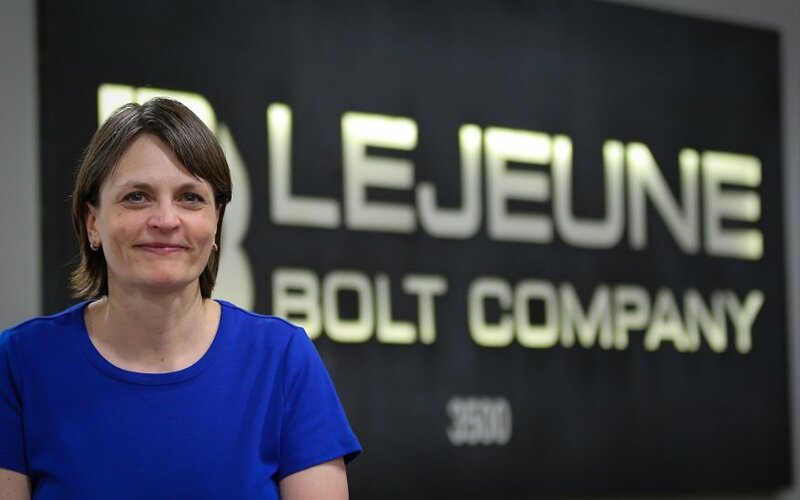 LeJeune Bolt Company began in a small warehouse in Burnsville, MN in 1976. From our modest beginnings, we have emerged as the leader in construction fastening systems. 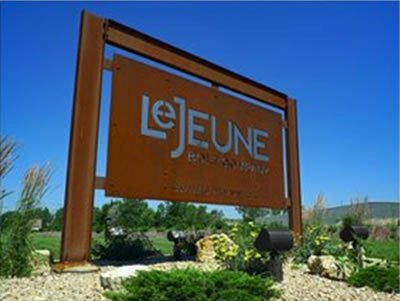 Our quality products and superior customer service have made LeJeune the supplier of choice to some of the most notable construction projects in the world. 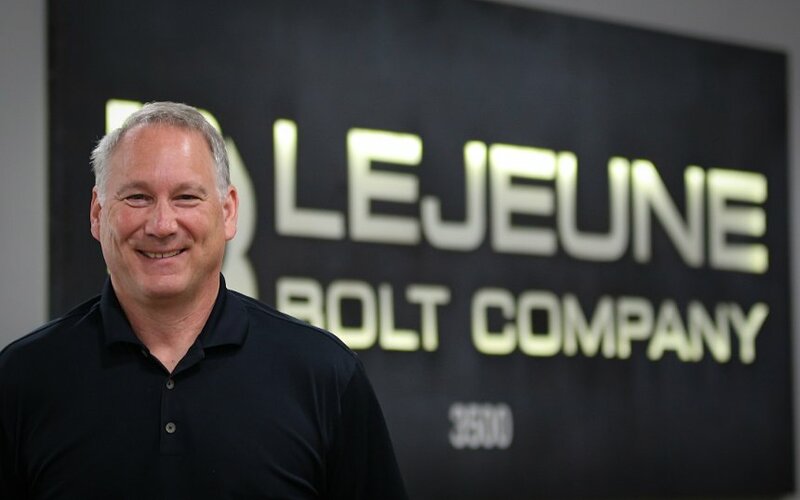 After graduating from the University of Minnesota Carlson School of Management in 1995, Larry began his career in the fastener industry with LeJeune Bolt Company. 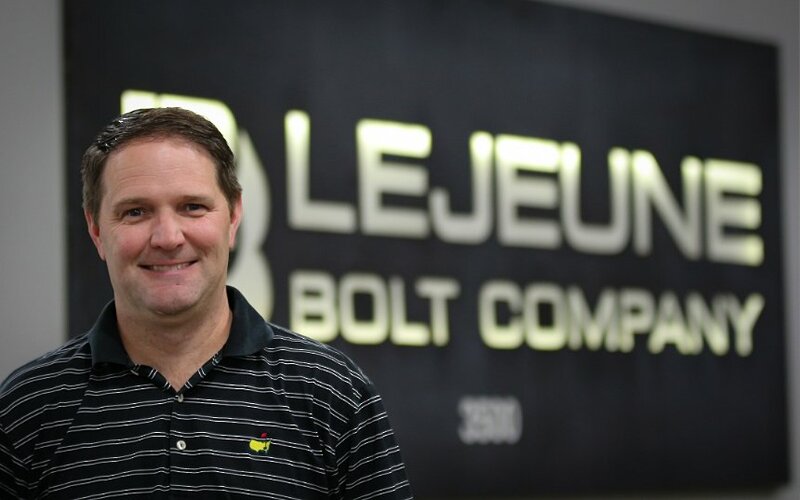 Larry’s duties at LeJeune Bolt Company include purchasing, logistics and sales. In his current role as Inside Sales Manager, he helps oversee sales and customer service. In his spare time Larry enjoys spending time with his wife and two children. Rich was born in Bismarck ND and moved to the Twin Cities in 1987. 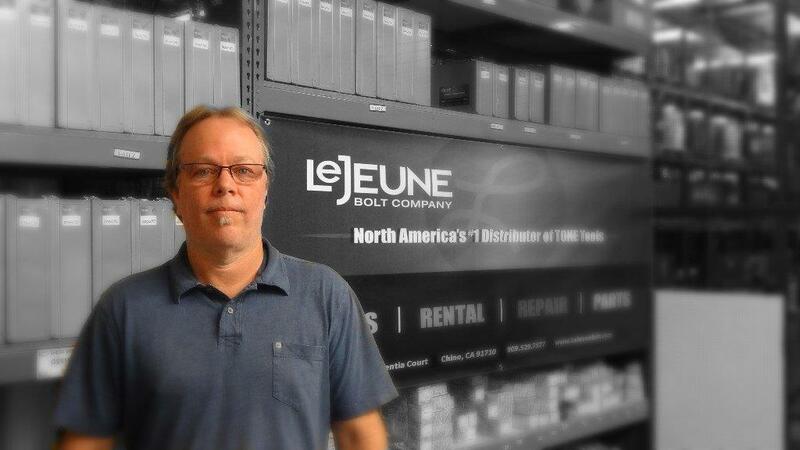 He has been in the bolt industry for 30 years and with LeJeune Bolt Company for 8 years. Rich is currently in sales as an Account Representative and is responsible for helping customers with needs they may have. He has been married 39 years and has 2 boys and 2 granddaughters. Gabriel has been with LeJeune since 1999 working effectively in Shipping and Receiving, Testing, and Tool Repair. He joined the sales team in 2013. Gabriel is well versed in the details of our industry and is bilingual, speaking fluent Spanish and English. He is responsible for all aspects of inside sales, with a special emphasis on serving our Spanish speaking customers in the U.S., Mexico, and South America. He enjoys spending quality time with his family, vacationing and the outdoors. Karla grew up on a farm in North Dakota with ten siblings. Shortly after graduating from the University of North Dakota with a Bachelor of Accountancy degree, Karla and her husband made the big move to the Twin Cities. She worked as an auditor at BCBS before taking some time off to start her family. 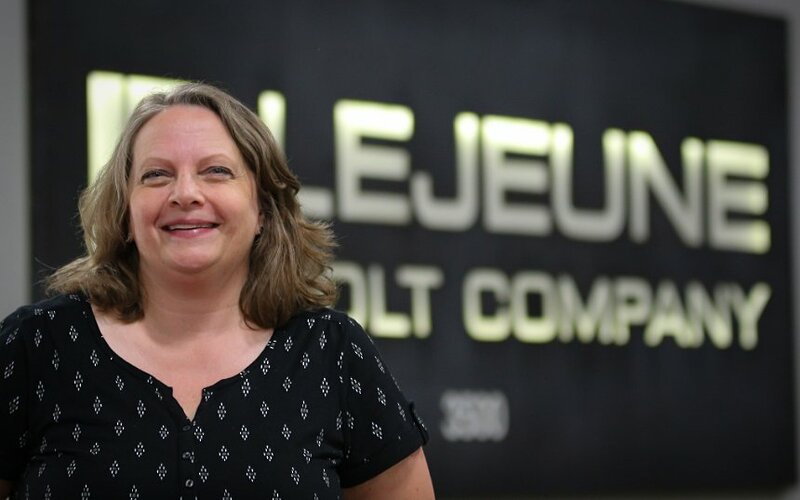 She got back into the workforce in general accounting and started her career at LeJeune Bolt in 1996. Karla has taken on many roles at LeJeune but enjoys the accounting side of it the most. Karla loves vacationing with her husband, spending time with her two grown daughters and families, and going to movies. 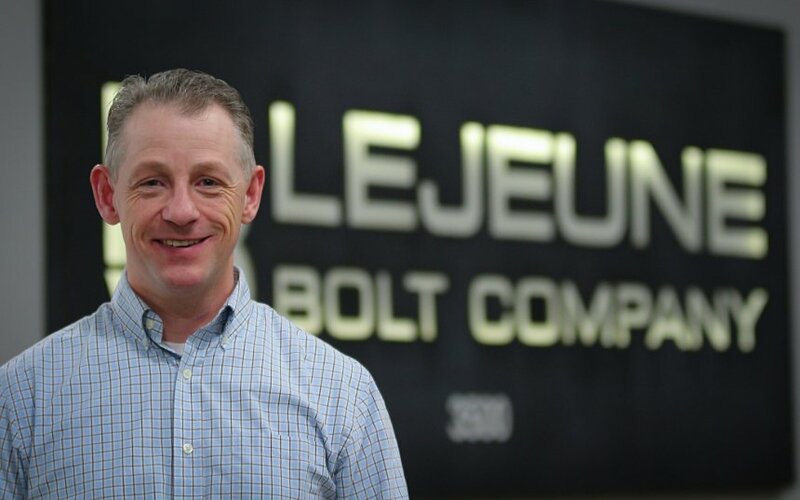 Directly out of college, Rob started with LeJeune Bolt Company in February of 1993. 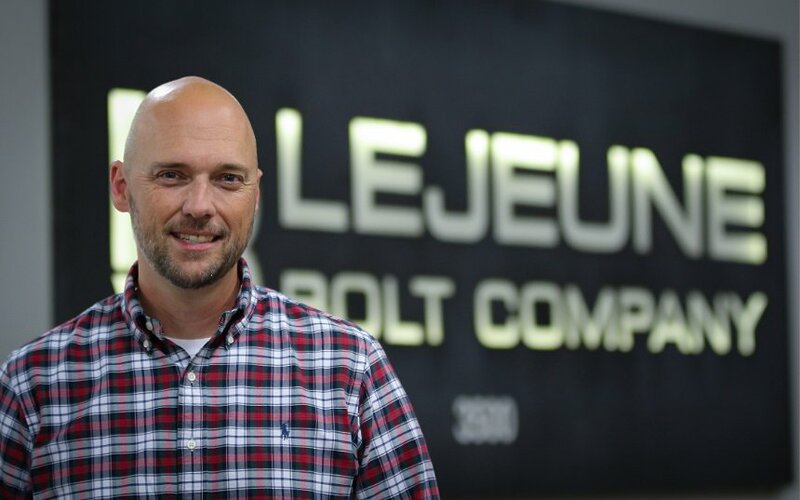 Rob has worked in many capacities within LeJeune Bolt, including shipping & receiving, tool repair, warehouse management and as an account representative. In Rob’s current role as Operations Manager, he is responsible for managing all aspects of company operations to create an efficient work environment. Rob enjoys hunting, fishing, snowmobiling and spending time with his family. Since graduating California State University – Sacramento in 1991, Jeff has made the steel construction industry his career. His work has taken him from California to Seattle and finally Minnesota where he started with LeJeune Bolt in 2000. 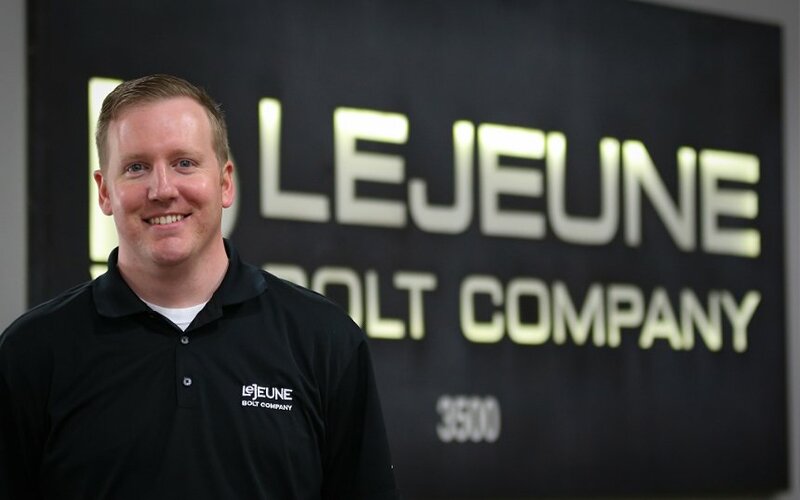 Jeff’s experience at LeJeune has focused on sales and marketing, field training, and project support. In his current role as Vice President, he helps oversee the daily operation of the company, still with an emphasis on sales. In his spare time Jeff enjoys serving his community as a member of the North Branch Lions, working on his golf game, and spending time with his wife and two daughters. Chad has nearly 30 years of experience in the fastener industry, including manufacturing, distribution, production control, quality assurance, sales, and executive management. He enjoys the challenge of balancing the multi-faceted aspects of business and industry to satisfy the differing interests of stakeholders. He is a volunteer member of numerous technical committee’s and spends much of his time looking for opportunities to simplify standards and business processes. Chad has a number of hobbies and interests, but mostly enjoys time with family and friends, in particular he and his wife enjoy watching their son play youth baseball and hockey. Upon graduating from the University of Kentucky in 2012, Mark has been very involved in the steel industry by working at a structural nut and bolt manufacturer, to becoming an Account Representative at LeJeune Bolt Company in 2015. He joined the Young Fastener Professionals Organization in 2014 and has been recognized as a “30 under 30” representative in the Fastener Industry as voted on by his peers. His current responsibilities are focused on growing current customer accounts, establishing new customers and doing whatever it takes to service them. In his spare time he enjoys golf, traveling and spending time with family. One of four second-generation employees, Lisa is the daughter of former President Brandt Dahlberg, who co-founded LBC with Thomas LeJeune back in 1976. Lisa has worked at the family business from its start, and after a 20 year pause which took her and her family to Illinois and Germany, Lisa returned to LBC in 2004. Outside of work, she enjoys spending time with family and friends, and she also loves cooking, gardening, reading and being outdoors. 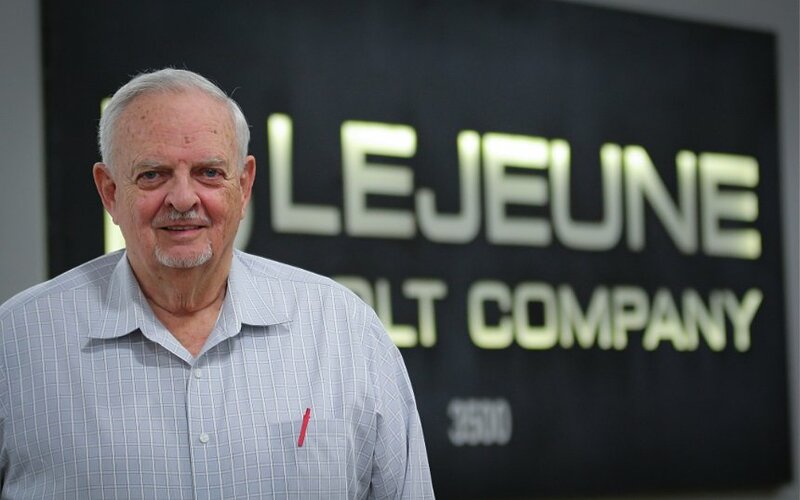 Brandt was one of the original employees when LeJeune started up in 1976 after a successful career in the fabrication equipment industry. He served as company President for nearly 25 years and was instrumental in bringing tension control bolts to the U.S. market. In 2000 Brandt decided to retire so he could dedicate more time to his family and restoring old cars, specifically Studebakers. In 2015 he agreed to come back part time, lending his immense experience to develop project information for the sales team. After growing up on Cape Cod and leaving a career in the Fishing industry in 2000, Carl has made LeJeune Bolt his career. 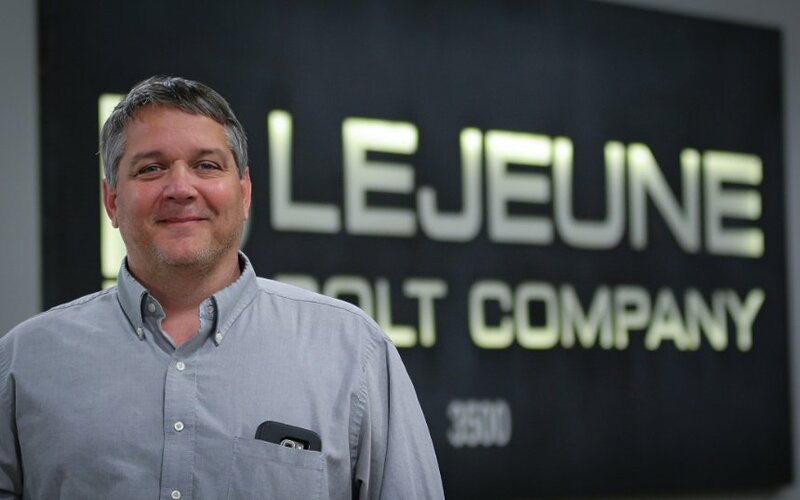 Carl started with LeJeune Bolt in January 2001. Carl started with the galvanizing operation then moved on to become the Quality Supervisor. His current role is Warehouse Manager and Quality Control Supervisor where he oversees the daily operation of the warehouse and quality. When not working at LeJeune he enjoys spending time with his wife, Jodi and three kids. Carl enjoys time fishing, golfing, traveling and volunteering for his kid’s activities. Rick has worked in the logistics and distribution industry for over twenty years. He has served in a variety roles including Warehouse Picker, Sales, Inventory Coordinator and Distribution Center Manager. 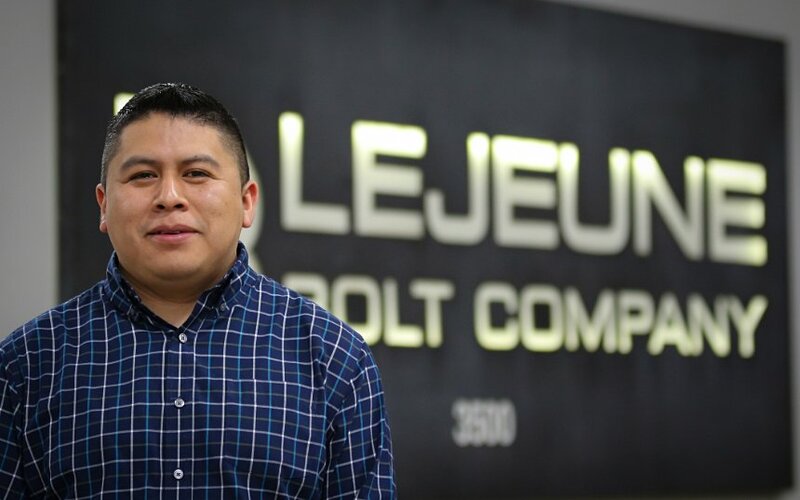 In his current role as Warehouse Supervisor with Lejeune Bolt Company, Rick has enjoyed a positive work environment that has led to more quality time with his family. In his spare time Rick enjoys writing. James is a veteran of the fastener industry, beginning his career in 1985. He has held many positions for numerous fastener companies in Southern California. James is one of the original staff members of the Chino, CA office when it opened in 2013. When not at work James enjoys golfing and watching football. Kelly started working in the construction fastener industry in 1987. 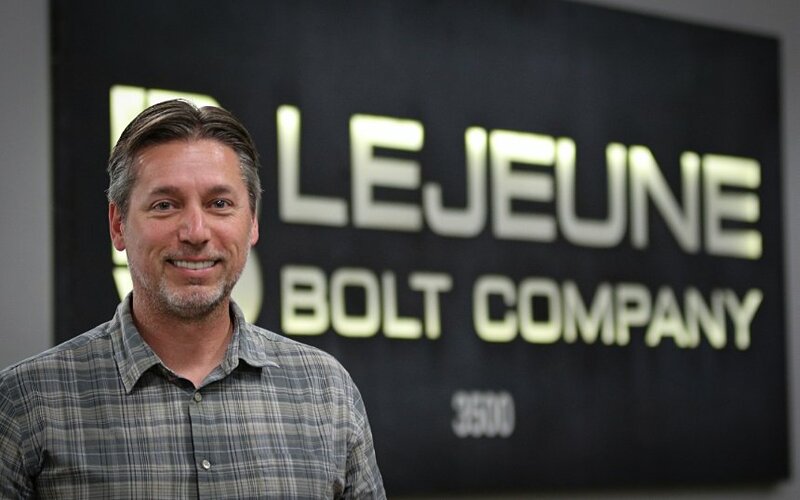 He joined LeJeune Bolt in 2013 to open and lead the west coast office and warehouse. In his spare time he enjoys hiking and golf. LeJeune Bolt Company | 800.USA.BOLT (872.2658) | Big Bolts. Big Projects. Big, Big Service. If you need an immediate answer, please call us at one of the listed phone numbers or use our Live Chat option during business hours (CDT).